Conditions were ideal for a rematch with the Wadley circuit. My last TT had been mostly into a 20 mph headwind. Hardly conducive to a fast time, but good for power. Whilst a little too long for a threshold test (which should ideally be 20 minutes) this was a good check on progress. In March i’d averaged just under 260 watts over an agonisingly long 42:28. Whilst the time had been long the ride had been pretty well paced with a decent negative split. https://www.strava.com/activities/271669199 My aim had been to break 37 minutes. In the back of my mind I was more concerned with power than time, especially as I was riding this on a road bike. I set off pretty hard, probably too hard but I knew the course and there was time to be had on the Birch Bumps. I settled into a rhythm and knocked off the first lap. The second was agony, paying the price now for going out too hard. I crossed the line in 37:56. A long 37, not quite what I was after but a good result. Power wise i’d averaged 273 watts this time out. Power is skewed a bit over the shorter duration but still a healthy improvement over the last time out. I think there’s a bit more to come here as I did myself in a bit early. I need to give a 10 a go as that’s an ideal distance for a threshold test. I reckon a 300 watt 10 is possible before the end of the season. Going to take some work but its all good training. I’m not a natural tester by any stretch, long durations chucking out big watts are not my strength. Frankly, i’m just a bit of a wuss. Saying that though i’m already googling bar extensions…. Photos courtesy of Matt Wing. Now this i’d been looking forward to. 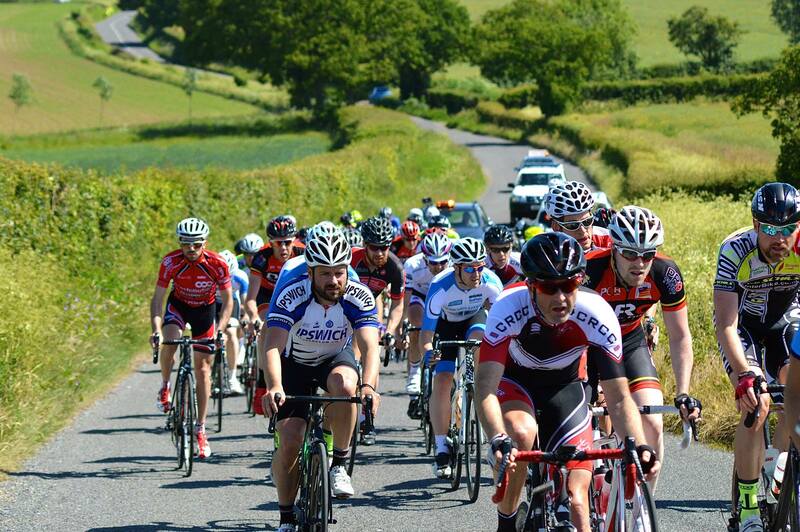 Local course again, the infamous Jock Wadley, with a strong field but no Elites or 1st cats. I wasn’t really sure what that would do to the race. Several said that the 2nds would basically try to thin out the 3rds and 4ths early on in the race. Not sure I like the sound of that. Weather was good, perhaps a bit too good. Wind was a nuisance but not really a factor. I was starting the race with loads of familiar faces. There were three in from VCR, four from Interbike and a whopping eight Rovers in the race. Just like a big chain gang really. The race distance had increased from last year to 72 miles plus an 8 mile neutral zone. That’s 11 laps of the Wadley, bit of a shock to the system. I don’t really recall the neutral lap as the pace was pretty quick from the off. Once again I had no idea where the wind was coming from. Really must work on that. But then how do you work on that? Stand in a field slowly rotating? Who knows. A break went away fairly early on, only four riders though initially so the bunch wasn’t too keen on chasing them down. Eventually seven were away and the pace ramped up for a couple of laps. Felt that! I was a little less on the limit than the Regionals so I was feeling confident at this point that I’d see the end. The break was caught and the pace settled down, plenty of attacks but none sticking so it was a case of closing the gaps and staying as far forward as possible now. Enter awesome photo below (courtesy of Matt Wing). 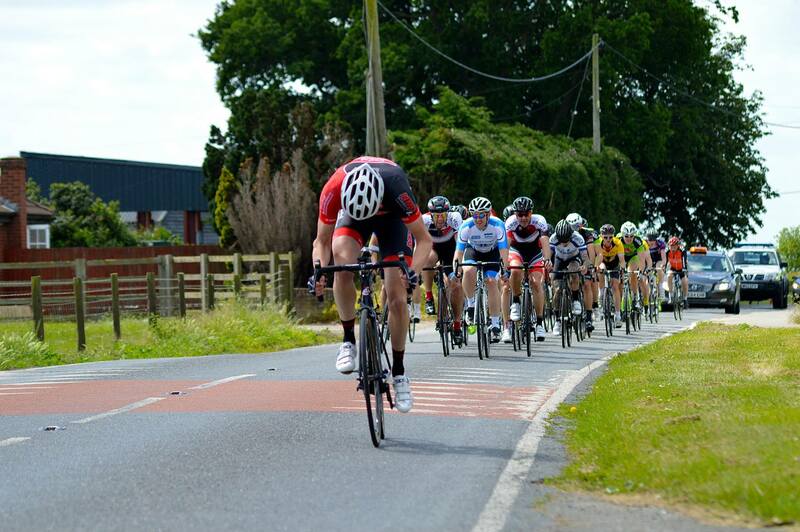 I think this photo sums up racing to be honest, horribly uncomfortable but i’m sharing the pain with a few buddies. I think at this point Rads pointed out that 4 or 5 was pretty much the most number of laps either of us had ever done of the Wadley circuit. Not sure I needed to know that. The race did settle down which is a good point to mention nutrition. The first hurdle to on the bike nutrition is getting your heart rate low enough so that digestion is possible. Whilst quicker, inhalation doesn’t seem to get the carbs to where they are needed. Its a case of consciously remembering that you’re burning off calories, particularly carbs at a rate of 60-80 grams per hour. I tend to take a couple of gels and a couple of baked cereal bars (not the crispy kind, they get stuck in your throat!) and eat one every 30 minutes after the first hour. Drinking is important too, its far too easy to forget. I had thought I’d drunk enough but clearly not as with one to go my right hamstring went ping, followed closely by my left quad and left hamstring. Errrr less than ideal! I managed to shake that out and get my legs back under control. Cramp isn’t something that has bothered me much but this was agonising. I could barely turn the pedals. Whilst this little drama was unfolding I was still trying to keep up in the bunch and not drop back. A bunch sprint was inevitable at this point and I wanted to make sure I could get out when it all kicked off. Disaster struck on the last time up the New Road, literally within a mile of the line my legs went again. The weird thing is that I wasn’t putting much effort in when it happened. But like the lap before my muscles seized one by one, but much much worse this time. Cadence dropped and try as I might my legs wouldn’t do what I wanted. I dropped out of the bunch, partly because the legs weren’t listening but also because I didn’t want to cause carnage by dropping back through a sprinting bunch. I got my legs back under control and rolled in 53rd of 54. Arse. Like the Regionals power hadn’t set any new records. I’d positioned myself fairly well for the most part. Only for a lap or so did I let myself slip and then spend the following 2 laps getting back up to where I had been. I thought i’d drunk enough (2 x 750 ml) but I think the combination of the heat and not having raced that distance before did me in. 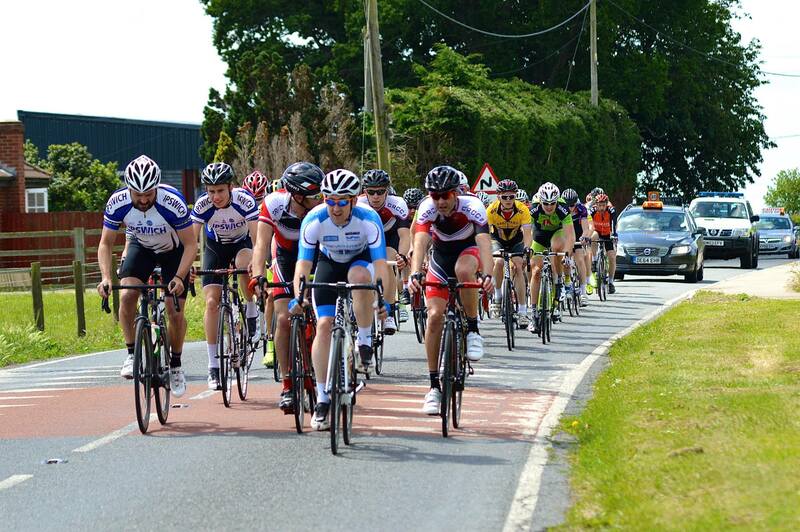 Most of the guys got cramp too, just on the other side of the finish line….. So, back here again. 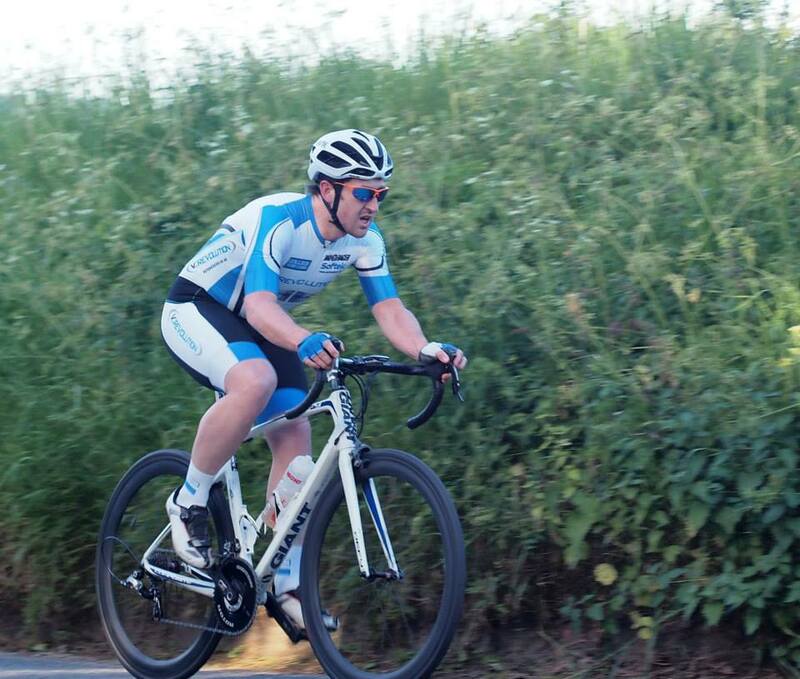 I’d raced the Trinity Park crits last year and got dropped unceremoniously every race. Mostly within the first 15 minutes. I realise now that I was nowhere near fit enough last year. I reckon I’m fit enough this year but perhaps not on the back of a hard weekend’s riding and with legs still full of cramp. My sole point also conspired against me here and put me into the second group which meant I was starting with a handicap. We would not only have to keep the scratch group at bay but also bring back the first group of 4ths. As ever the race was a series of 30 second and minute intervals. Positioning wasn’t great, I seemed to always end up in the wind on a certain part of the circuit. I spent more time chasing back on than I did hiding in the group. I did however seem to be closing gaps through the corners so that’s progress. I’d forgotten how brutal this track is on the body, particularly the wrists and back. I got gapped when the scratch group came through and as my back had been in bits for the previous ten minutes I sat up and dropped out. Not cool. In hindsight I should have dropped the tyre pressures and I think my legs were still recovering from the Abberton. These races are on my doorstep though so whilst I literally feel like I’m getting an hour long kicking I’ll be back next week. Not finishing the Abberton in the bunch had been pretty crushing and dropping out of Trinity Park (again) was another blow to the confidence. Time to remind myself that my sole goal for this season had been to score a point. I’m already ahead of where I want to be and i’m only half way through the season. A long weekend off the bike will hopefully recharge the batteries and then its time to hit Trinity Park again next week.